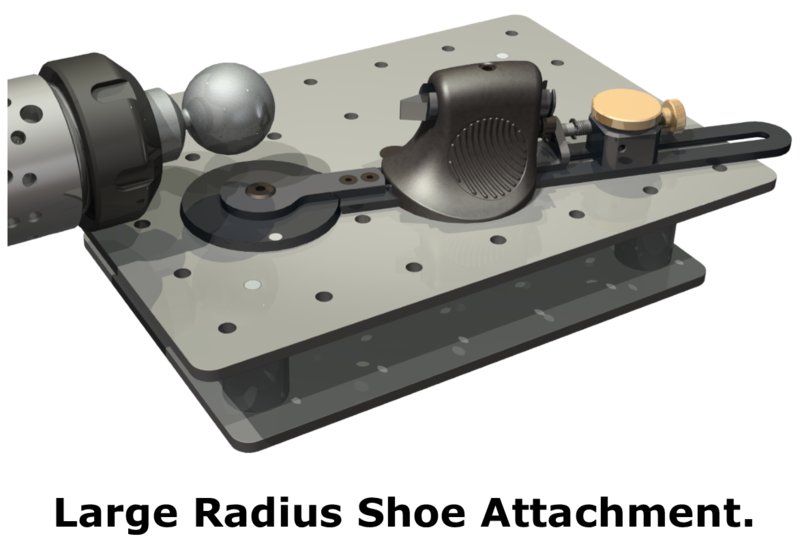 Basic Turnado System including the General Purpose Radius Shoe. 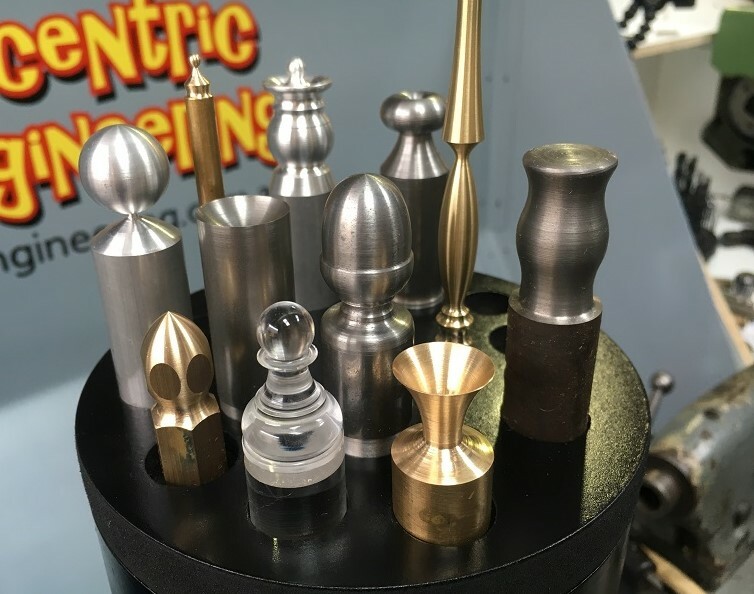 Produce items you never thought possible with a standard metal working lathe. 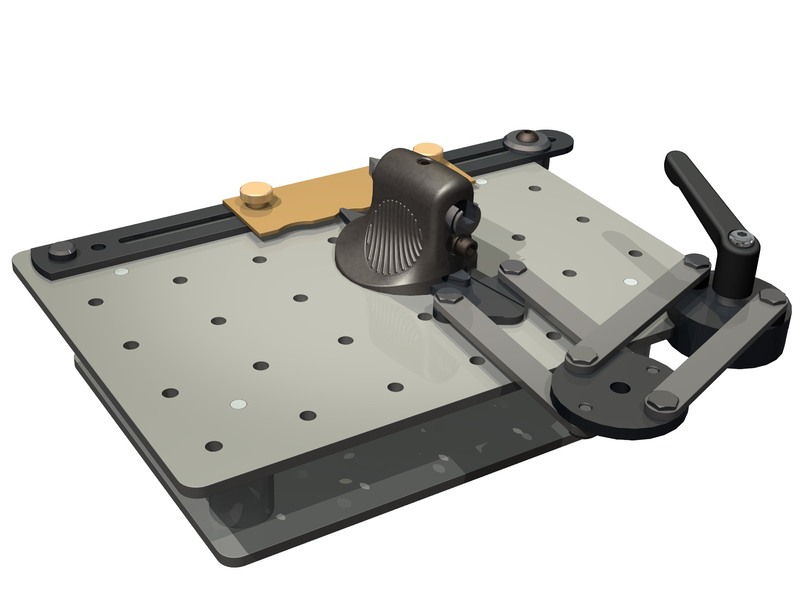 Turn large and small internal and external radii at any position on the workpiece. 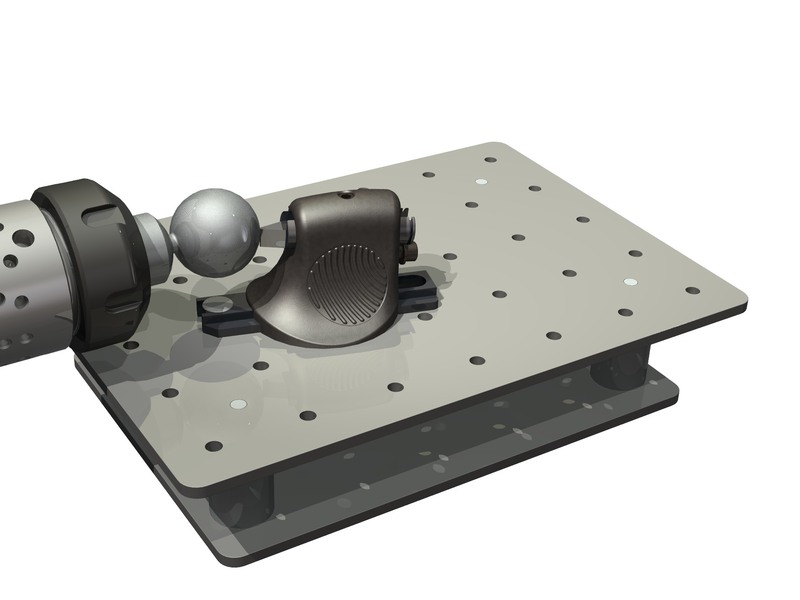 External and internal hemispheres as well as complete sheres from 2mm to 50mm diameter. Produce Toroids (donuts) Ovoids (egg shapes) and Ellipsoids. Create freehand curves to whatever shape you like. 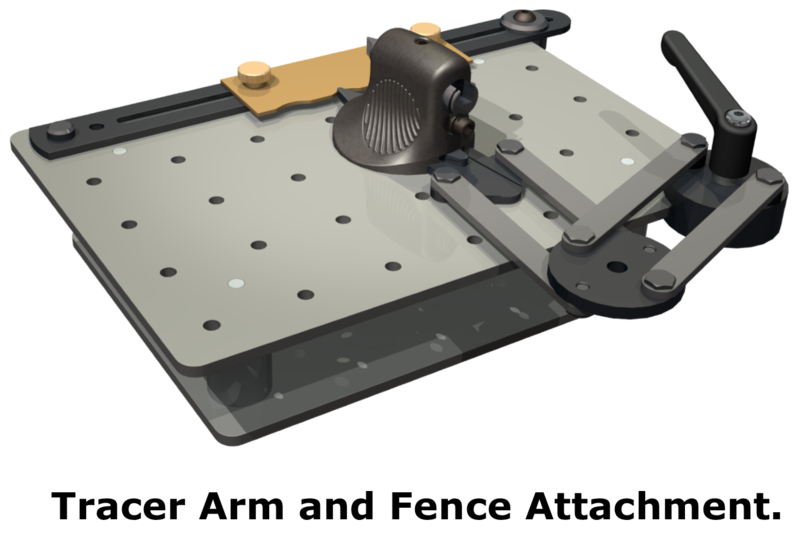 Reproduce multiple identical shapes such as chess pieces, canons for model ships and miniature candlesticks etc using the tracer arm and a simple sheet metal template. Large radii up to 150mm (6") can be turned using the Large Radius Shoe, or huge radii as big as you like using a curved template with the Tracer Arm. Adaptable to fit on the cross slide of virtually any small to medium sized lathes, and quick to swap over in place of the top slide. Ideal for jewellery making, ornamental turning, model making, clockmaking and many other types of decorative and curvilinear work. So much more than just a ball turner! 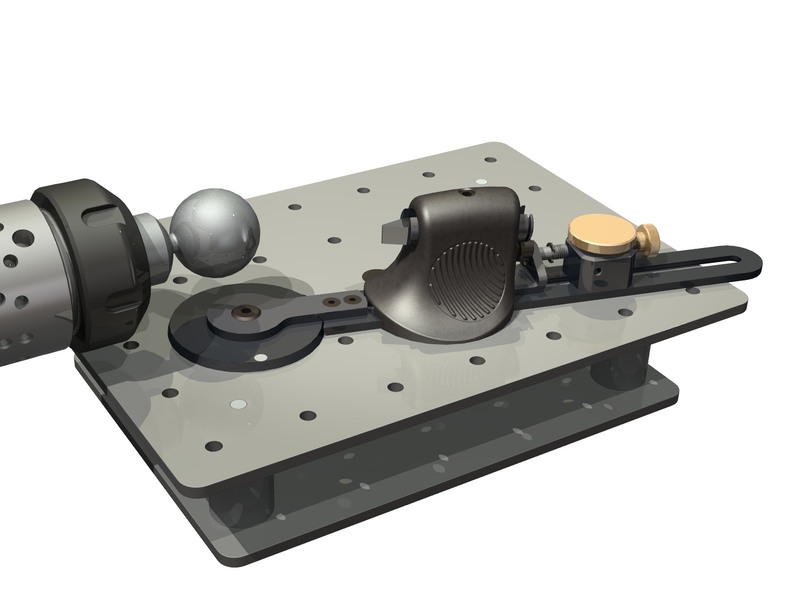 turn internal and external curves and radii on most bench top lathes. in one of the grid holes. pivot so that full spheres can be turned without re-chucking. method, huge radii not possible with a pivot system can be created. a grid pattern of holes. to match the centre height of your lathe. 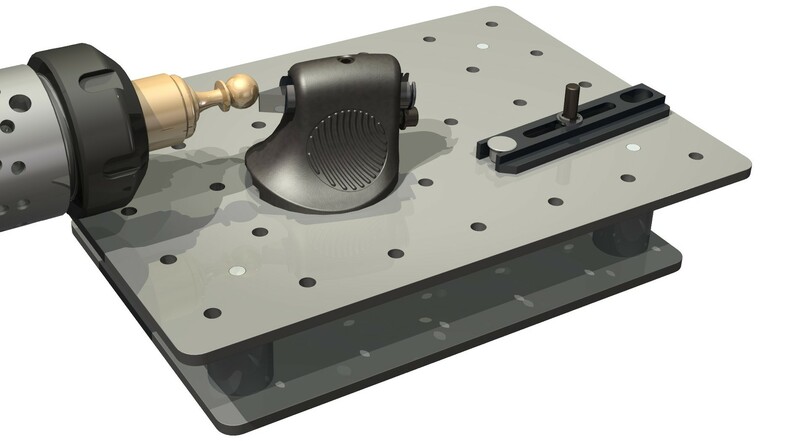 the mounting configuration of the top slide on your lathe. the top slide, on some lathes this is just a matter of loosening two set screws. it slide around on the worktop easily. that it can be mounted to various accessory "Shoes"
angle ensure the tool bit and tool post block will not be pulled into the workpiece. 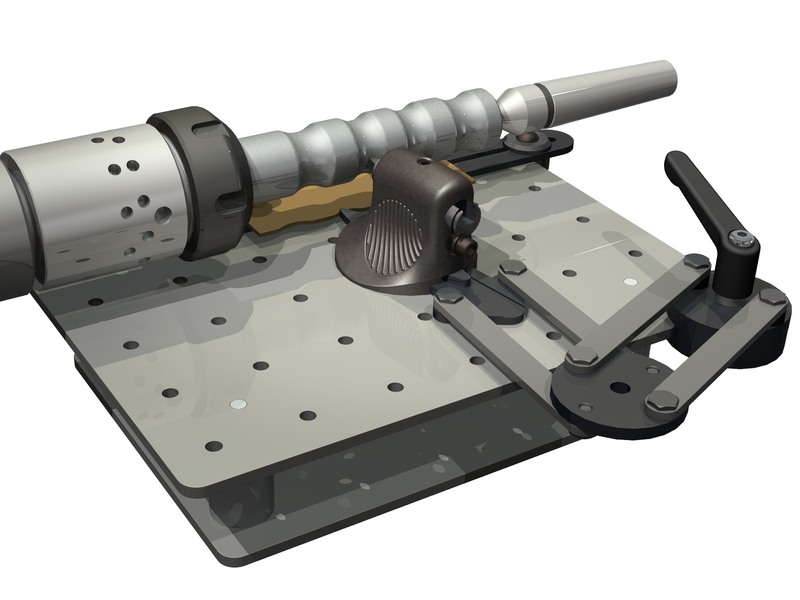 Toolpost cannot be tipped over, no matter how much downward pressure is applied. The materials used in the items above include.